The powerful 8 Stage Luxury Shower Filter is the perfect in-line shower filter for those of us who want to keep our existing shower heads but still want the benefit of cleaner, healthier showers. The powerful 8 Stage Luxury Shower Filter is the perfect shower filtration unit for those of us who want to keep our existing shower heads but still want the benefit of cleaner, healthier showers. It simply attaches to the base of your steel shower hose or attaches between your existing shower head and the water pipe, thus filtering all the impurities and nasties from our shower water before it reaches us. The shower filter consists of a patented dual cartridge, 8 stage filtration system. The shower filter cartridges each consist of a 4 stage filtration process (with the dual filters that makes an 8 stage process). Ensuring that this filter provides you with the utmost shower filtration, keeping you safe and healthy. Green : Water travels the dual filter cartridges with filter material. The shower filter comes with the two shower filter cartridges installed, each consists of a 4 stage filtration system. Filtering of free floating substances within shower water. This portion consists of high quality (US Patented) KDF water filtering material. This portion consists of high quality GAC that absorbs additional impurities. The water inlet pipe for this shower filter is on a ball socket. 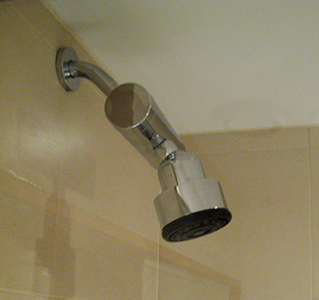 So the shower filter can be installed at an angle for tight fit situations, where the water pipe is close to the wall. Backflushing the shower filter maintains the shower cartridges life span and also ensures that any contaminants that are caught in the shower filter can be flushed out. To backflush the shower filter, simply remove the dual shower filter cartridges and install them in each other's position. Run water through them for 5 minutes. The filter arrived promptly and was very simple to fit. I cannot honestly say the chlorine smell has reduced nor does it help reduce dry skin, but the filter is reducing the lime scale pieces reaching the shower head, which was my main aim. An excellent product. I live in a very hard water area and my daughters suffer with eczema and flaky scalps. After looking at a few different products, I settled on this one. I'm so pleased with it. Their skin is looking better, scalps are less itchy and flaky. I wish I'd bought one years ago. Highly recommended and good service. Excellant product. Well priced. Fast professional service. Can't fault your service. Very good. Delivery was on time and product works exactly as described - recently moved to London which is a hard water area and wife suffers with eczema which hard water exacerbates. Fitted this filter onto the shower in no time (easy to fit by hand but might need a wrench just to tighten it) and she's been fine so far. Would definitely recommend this product. Great Service, fantastic product. My dry skin is a distant memory!! Arrived quickly and easy to install, still deciding if it has helped my eczema at all. The filter is easy to install and works well. Very good and fast Service - very good product. Bought this for my wife who has very sensitive skin, she has already found it very helpful to the extent that we have just ordered a second unit and a spare filter. We are extremely happy with this filter. My son has weeping eczema and normal water with all its additives irritate his skin. With the filter he actually enjoys bath time. Will definitely be making repeat purchases. Thanks! Very impressed with the effect on dry skin and also with the economies created in terms of using less shampoo, shower gel etc. WORKS REALLY WELL , HAVE NOTICED A DIFFERENCE IN THE FEEL OF THE WATER WHEN SHOWERING , WOULD RECOMEND . We felt the difference in the water after a few showers: we felt more energy, the skin was smoother, less itching and inflammation on scalp. Recommended! My son has severe atopic eczema and purshasing the double shower filter has helped, though early days yet to comment if it has proved to be successful. Product that met our expectations, fast delivery (actually faster than advertised for). All in all, very good. Thanks again. The shower filter is terrific. Shower cream last longer + the water feels softer & no more clogged up shower head.Which is a big bonus as I live in a hard water area. 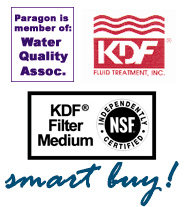 I have used these filters for several years now & would recommend them to anyone who has a problem with hard water. the shower filter was very easy to install. I can feel that the water quality has improved because there is very hard water in the area where I live. I can spot a few tiny chalky residues on the outer surface of the shower cabin when it's dry again, but they're easy to remove with some cleaning detergents. Overall it is worth the money. Also, my skin is not itchy any more after showering (this used to happen before). I am won over by this product. Great customer support while I bought the filter and it was as easy to fit as you described. My only disappointment is my own fault - I assumed it would filter flouride as well as chlorine but I now see it doesn't claim to so it's not a product I would have bought, in retrospect. Excellent service, got product in 2 days, thank you! No more dry and itchy skin after showering. Thank you. Order was processed very efficiently. Very prompt response to my email. Very helpful. Website easy to follow. Fitting of the shower filter was very straight forward and so far it seems to be working very well. the filter works very well.Very easy to fit.delivery very fast evenif i choose the free postage.i like everything about this website too. We now have a filter on both our showers and the difference in skin softness is remarkable. I couldn't do without them now. The service from pure showers is also top notch and I highly recommend them. Quik delivery and easy to install. I am still satisfied 6 weeks later. My dry and very sensitive skin finds it easier to tolerate the `new` filtered water. I hardly need to apply any cream anymore. Every attachment should come with a set of instructions on how to install it. I was unhappy and confused when I couldn't fit the attachment I bought myself. And there was no reference to look to. I had to call a plumber to fit it for me. Rest the product works fine. Excellent product, quick delivery. Happy, thanks! I was not sure which filter would work with my shower. The staff were extremely friendly and helpful and advised which filter would fit best. Could not be happier with it. Very easy to fit. It fits in a ball system so does not matter how near the wall your fitting are, it will fit. Looks good and best of all it really works. My skin is no longer dry and my hair has never felt and looked so healthy. A great price so everyone should get one. I've been using this one for 8 months. I had itch and dry skin and freezy hair after shower . On top of that my shower glass look dotty from limescale if you don't wipe it off everyday. I didn't expect much and had a half doubt about this product but decided to give it a go. Definitly it is worth to have! Since we`ve started using the filter, our skin hasn`t felt as tense as it used to be after having a shower. Unfortunately, some water drips through it at the top as the thread is too long and the seal is too flat. Just add a seal to it and the filter will be PERFECT!!!! Hi i would like to say thank you for AMAZING service and product . Just received my yearly replacement cartridges today which am very happy about , and can't wait to install it , to carry on having safe and very indulgent showers . Thank you very much and wishing you the very best of success. Purchased luxury shower filter and bath tap filter. No problems so far with the shower filter, improvements in skin and hair texture noticed and would recommend it. Tried to fit in the bath tap filter, our tap was unsuitable. So it was returned and promptly received a refund. 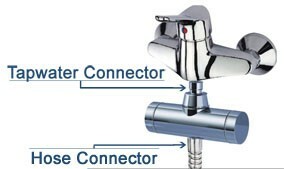 Note that the bath tap filter is a little heavy and therefore it is essential to achieve the right fit. Otherwise it would keep falling off the tap. Would advice to thoroughly check the suitability before ordering. My queries were dealt with promptly when contacted by email, so thumps up for customer care. I ordered a shower filter from you a wee while back and have had it working now for a few months. I can honestly say it has made a significant positive change to my skin as I suffer from eczema. The additional adapter was essential, I'm really glad someone thought of making them available. First, thank you to Pure Showers for such friendly, informative, and helpful customer service, not to mention that my order was with me less than 24 hours after I ordered. More importantly, the filter has made an amazing difference to my hair and skin. Since moving here with the hard water, my already sensitive skin had become increasingly dry, itchy, and painful with eczema breakouts. We've had the filter installed for about 3 weeks. The difference in my skin is beyond belief - smooth and soft once again, less tight, and no longer painful and cracked. My hair has also improved. My only regret is that I waited so long. If you are thinking of a filter, it is worth it, and I do highly recommend Pure Showers. A perfect product to a perfect price! Will absolutely buy it again. We have all got lovely soft hair and my daughter says her eczema is clearer. This has helped to clear up my baby's eczema. He has had no problems since bathing in the filtered water. A much better alternative to the dubious creams the doctors have prescribed. My wife was always complaining of dry skin, hair that was hard to style and my daughters eczema wasnt looking so good. After research into the effects of our mains water on the skin i came across your site. I am pleased to say that the filter i purchased from you is working a treat. My wife loves the quality of the water and my daughters eczema has completely gone. It only ever went before when she showered at my parents house in wales, a soft water area. Thankyou too for your promp reply to my email queries with questions I raised before my purchase. Compared with other shower filters these are incredibly easy to fit, work well, look good and are more cost effective! really pleased i purchased them.... oh an yes my skin and the air i breathe feels so much better! I always hated the unpleasant smell of chlorine when having a shower. This smell is entirely gone. Our son says he has 'soft hands' and I feel the skin is not as dry as usual, but I have had extreme dry skin, so I assume if you contacted me in 4 weeks again, i could give more info on this. Would I recommend it - yes, especially if one considers that our skin is such an absorbant organ and that chemicals absorbed through the skin can be as damaging as through our food and drinking water. For those concerend about lime scale in the shower - its all gone ..:) but for me not the most important reason to buy the fitler. Im happy with this product and would purchase from this company again. It came well packaged and delivered on time. Excellent product.I have a waist length hair, and it's always soft an free of build up.Also, great, great service.I live in Italy,and my package has arrived in 72h.I will definitely purchase again from PS. Surprising results! I used to suffer from an itchy scalp and dandruff and I noticed a great improvement the first time I used it. The second time I used it, my scalp stopped itching... Since I have Afro-Caribbean hair, I usually have very brittle hair but it`s now a lot softer when I rinse it. I don`t itch after shaving either. I am very satisfied and don`t think I could ever live without this product. this shower water filter has made showering enjoyable again .no more iritateing itching its a real godsend to me . Turku (Finland) is a city with high chloride in the water. This Shower filter has changed the way how we all use the shower. 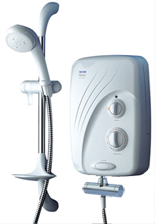 From my initial query and request for information to my actual purchase some months later I have been very satisfied with the service from Pure Showers. Found over all service & delivery etc excellent but the attachment would only attach to the shower head? not down at the taps & due to the weight unfortunately it broke the fixture that holds up the shower head! But service was excellent. Really does what it says. Don't know how we survived without the '8 Stage Luxury Shower Filter' now. Would recommend all the way. Once again I have to thank you for your prompt service. have not said much about your filter for the past 6 months since purchasing. However I think other people should know, now, what a wonderful product the chlorine filter is. I'm very impressed with this filter .It has done everything it promised. My skin has improved 100%. My family have all seen and improvement. Yesterday we got this filter, and it took only one week to canary islands... (la gomera) - this was impressiv (we expected 2 or 3 weeks). My wife already did a shower.... - and she is very happy, said that it smelled better, like really fresh water.... - no chlor anymore (they put a lot of chlor into the good mountain water we have here on the island... - thats the reason we bought the filter...). I decided to buy a shower filter because I'd had trouble with irritated red eyelids for several months. We already filtered our drinking water for some years. There was an almost immediate effect on my eyes.......for the better......and that has been maintained. I have noticed the difference in water quality, no nasty chlorine smell anymore. The HBB shower filter adaptor was received in double quick time and I found it so easy to install. I am pleased to confirm the filter is working fine and improving the quality of shower water, I would give the unit a score of 5. 5 stars.execellent product.very easy to install.water feels softer,purer. 5*. Cured my wife’s after shower itching problem. I' m buying since some time now for different customers of mine as an engineer and expert for home installations from your company the pure showers. First of all I have them in my home and also some of my friends. I just stayed in a hotel for a while in Malta. The water was dreadful there, full of chlorine and smell. My skin started itching like mad. What a relief when I cam home and had my usual pure shower. The difference is just mazing, no burning, itching, smell. I would rate it 5 out of 5. Best purchase to date. Five stars: it works, it looks good and its easy to install! The service was outstanding, after an initial mis-delivery due to a royal mail PO box addressing issue, I received my filter, thank you so much for helping me resolve it, greatly appreciated! All perfect. No more dry skin ! Thanks. The filter has been excellent. I bought it as I moved to a house supplied by a private well & there was copper in the water which turned my blonde hair green. I have now been using it for a month and there has been no recurrence of the problem. My questions regarding the filter were answered promptly before I purchased it as well as providing additional information, such as the reduction in water pressure that I would get. I also contacted another company at the same time and they just provided a cut & paste answer off the website, which I had already found & read myself and didn't answer my questions (hence the email). Overall excellent service & I'm very happy with the product. I suffer from psoriatic arthritis and am really pleased with the shower filter adaptor and give five stars. Since fitting the filter my psoriasis has improved, our shower screen keeps cleaner and soap use is considerably reduced. Fitting took only a few minutes. The service from PureShowers was excellent. Excellent product. Too much chlorine in my water supply gave me dry, itchy skin. One month after installing the Shower Filter, no more itching - bliss! My husband tells me it was an absolute doddle to fit! Recommend this wholeheartedly. Hi, I have used you filters for approximately 1 year in a house in Turkey and have been very pleased with them. They have successfully stopped lime scale solids produced in the solar panel from blocking the shower heads. I suffered a couple of failures earlier this year of the filter body end caps which was due to excessive mains pressure which we now have regulated. You kindly enclosed a couple of extra caps when I purchased a replacement so I have some spares if it ever happens again. Just to let you know we are absolutely delighted with our filter. Easy to fit and doesn't look bulky or 'added on' in our shower. My daughter and I love it because we both have coloured hair, and the soft water actually makes the colour last longer and definitinely has a conditioning effect on the hair. Added benefit is that my skin is noticeably softer and smoother after showering. I will definitely continue to use it and certainly miss it when I have to shower away from home. Many thanks for wonderful service and a brilliant product. installing the filter no more itching.Hair is also softer after washing. water area.It really does make a difference. Outstanding, one of the best things I have ever bought never knew what having a shower SHOULD feel like until I put that filter on. One small criticism not really clear instructions of when to change it. It very vague saying 9 - 12 months or after X litres of water.....who is going to know how much water they have used. As a person affected by lupus and associated skin and hair conditions I am totally blown away by the difference that such a simple looking device has made to my life. My sensitive skin used to itch like crazy after a hot shower and my hair was always dry and brittle and super frizzy! Now I can relax and enjoy a hot shower, and my skin and hair has never been in better condition. I highly recommend everyone, but particularly those with sensitive skin issues, to try the PureShowers Shower filter and see for yourself what a difference it can make. really happy with my shower filter. Emailed you with my questions and you promptly replied with all necessary information. Received it promptly and really see the benefits. I have been using the shower filter (not the shower head unit) for a couple of weeks now. I live in a very hard water area and this filter has definitely helped to prevent very dry skin after showering. I will continue to monitor its effects. I just received the shower filter today and had my first shower....and i could feel the difference on my skin....my skin feels so much smoother and the water is very pure.....still need to wash my hair and see if it makes any difference to my scalp but on the whole i am happy so far. The only problem is the shower head is too heavy and my existing shower head holder cant hold the weight and thus the shower is not stable and I had to use it as hand held. Works great. The water doesnt have any smell now, as it should be. I have suffered with eczema for nearly 40 years and have tried most things on the market which has been both disappointing and expensive trying all the lotions and potions available. I discovered that every time I went abroad my skin felt better before even going anywhere near the sun or the sea. After discovering this website and reading about the hard water in the UK it all made complete sense. I purchased one of the luxury shower filters and my skin feels as soft as if I was on holiday in just a couple of weeks. My hair is shining and the best bit is my eczema has really started to get much better already without putting any creams on it. I used to dread going into the shower because my skin would feel all tight and my eczema sore. Now I thoroughly enjoy the shower because my skin feels soft and my eczema doesn't hurt any more. I think every Doctor should be told about Pure Showers instead of handing out lots of steroid creams! Oh and another benefit is the shower screen stays clean. I suffer from eczma and from the first shower I took my skin felt incredibly soft that I could easily avoid putting tons of cream on it. Also my hair has not been that soft in years! the filters are a fantastic product! Everybody in this country should buy one! I am going to order another filter to give as a present it does make a lot of different in the quality of the water it is incredible! Originally from New Zealand I found the tap water in London extremely hard causing dry skin & hair. 6 months ago I purchased a Paragon shower filter head and my flatmates and I have been delighted with the results! My skin, being sensitive, is noticably softer and less irritated and my hair is shinier. It is also great for handwashing clothes due to the softer water on your favourite fabrics! This was one of the best purchases I have made for my skin this year. I had issues installing the 1st product I bought, so i had to return it. They were very good and suggested an alternative product. They were brilliant with their communication and keeping me updated. Thanks! I have been using the shower filter for 3 weeks now and I have noticed the difference in my skin and hair. Before, after my shower my skin would feel very dry and itchy and I had to moisturise with an emollient cream but now my skin feels soft and smooth and I no longer have to use my creams. I suffer from hair loss and I have noticed that this has been reduced slightly, when I wash my hair, usually the plug hole would be filled with hair but the amount has deffinately reduced. I will recommend this product to my friends and family I wished I knew about this product before. 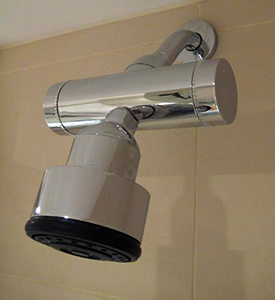 The design is great and matches the shower attachments and is very easy to fit. Thank you for such a great invention. When I first moved to England, the first thing I noticed was how brittle and lifeless my hair was getting. Then I started noticing how dry my skin was as well. I began to worry that living in England was making me age prematurely! Then I came across this website and found out that the reason was because of the hard water. Once I installed the filter in my shower, I noticed the difference immediately. I actually felt cleaner and my skin and hair are both looking soft and healthy! I can't thank you enough pure showers! !